Tony Sale sadly passed away in August 2011. The tribute below was written at that time. Tony Sale was born in 1931 and as a teenager was educated at Dulwich College in London. From an early age he showed a remarkable aptitude for engineering and electronics and produced his first robot, George I, from Meccano. Finances prevented Sale from going to University, so he entered the Royal Air Force instead. He quickly achieved the rank of Flying Officer and at the tender age of 20 was lecturing on radar. He went on to join Marconi’s Research Laboratories in 1952 and five years later joined MI5 where he became Principal Scientific Officer. In the 1960s, 70s and 80s, his fascination with electronics and computers grew and he established several innovative software companies. Sale’s interest in computer restoration work blossomed in the late 1980s while working at the Science Museum. In 1989, he helped to set up the Computer Conservation Society as a joint venture between the British Computer Society and the Science Museum. In 1991, with his wife Margaret and a small group of colleagues, Sale started the ultimately successful campaign to save Bletchley Park for the nation. Two years later, in recognition of the work carried out at Bletchley Park during World War II, Sale began the Colossus Rebuild Project, a daunting and hugely complex task to recreate the world’s first modern computer. During the war the original Colossus computers had been designed and built to decipher the Lorenz-encrypted messages of the German High Command. The successful decryption of these messages is credited with shortening the war by many months and saving thousands of lives. Working with small fragments of information, Sale and his team successfully rebuilt a functioning Colossus, an event that was celebrated in 2007 with the Colossus Cipher Challenge and the official opening of The National Museum of Computing. Today, the rebuilt Colossus is a centrepiece of the museum. In recent years, Tony Sale’s achievements have been very widely recognised and amongst other accolades he received honorary doctorates from three universities. In July this year, he was absolutely thrilled to be introduced to Her Majesty The Queen who had specifically asked to see the Colossus rebuild on her visit to Bletchley Park to honour wartime veterans. 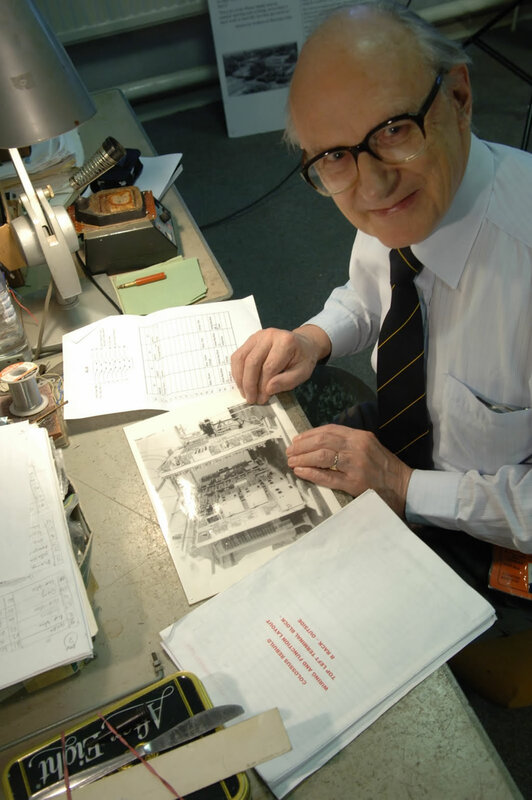 Tony Sale is survived by his wife Margaret, (a tireless worker for Bletchley Park and a long-time supporter and a trustee of TNMOC), three children, seven grandchildren and one great-grandchild. Tony Sale’s web pages which describe his work on Colossus and other projects at TNMoC remains as it was at the time of his passing at www.codesandciphers.org.uk.